Please join Weller Book Works on October 5th at 7 PM as we welcome Julia Corbett for a reading and signing of OUT OF THE WOODS: SEEING NATURE IN THE EVERYDAY! Have you ever wondered about society’s desire to cultivate the perfect lawn, why we view some animals as “good” and some as “bad,” or even thought about the bits of nature inside everyday items—toothbrushes, cell phones, and coffee mugs? In this fresh and introspective collection of essays, Julia Corbett examines nature in our lives with all of its ironies and contradictions by seamlessly integrating personal narratives with morsels of highly digestible science and research. Each story delves into an overlooked aspect of our relationship with nature—insects, garbage, backyards, noise, open doors, animals, and language—and how we cover our tracks. With a keen sense of irony and humor and an awareness of the miraculous in the mundane, Corbett recognizes the contradictions of contemporary life. She confronts the owner of a high-end market who insists on keeping his doors open in all temperatures, and takes us on a trip to a new mall with a replica of a trout stream that once flowed nearby. The phrase “out of the woods” guides us through layers of meaning to a contemplation of grief, remembrance, and resilience. 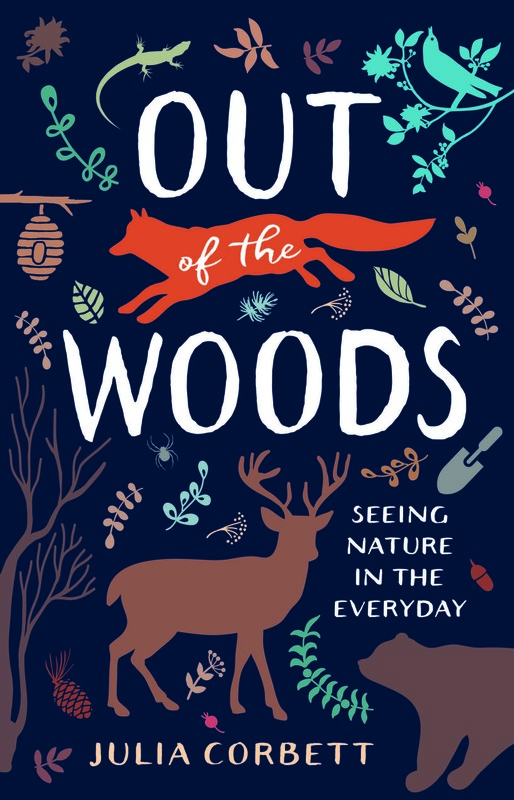 OUT OF THE WOODS leads to surprising insights into the products, practices, and phrases we take for granted in our everyday encounters with nature and encourages us all to consider how we might revalue or reimagine our relationships with nature in our everyday lives. Julia Corbett is a professor in the Department of Communication and the Environmental Humanities Graduate Program at the University of Utah in Salt Lake City. She authored one of the first texts in environmental communication, Communicating Nature: How We Create and Understand Environmental Messages. Her second book, Seven Summers: A Naturalist Homesteads in the Modern West, “enacts the insights of feminist nature criticism” in a memoir about a small cabin in a wild place in a twenty-first-century landscape under acute pressure; it was short-listed for the Reading the West Award. Her environmental nonfiction essays have been published in venues such as Orion, High Country News, and Camas. Before receiving her MA and PhD at the University of Minnesota in 1994, she was a newspaper reporter, a park ranger, a naturalist, a natural resources information officer, and a deputy press secretary. She summers in the mountains of western Wyoming in her cabin. For more information, visit juliacorbett.net. Part of Utah Humanities Book Festival!